This is a great highball warm-up, above and right of the Buddhist temple (5.9). 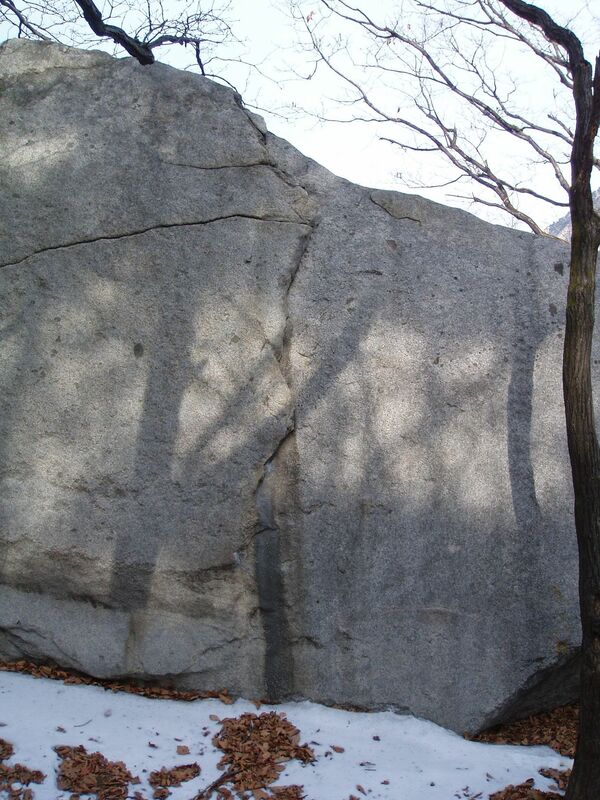 To the right is an excellent slab, that will definetly test your abilities (maybe V1?). Really excellent warm-up spot.